In addition to a convenient location close to the best restaurants and dining in Pigeon Forge, our hotel places palate-pleasing and satisfying American cuisine at your fingertips with our on-site dining and drinks destination, The Bistro. 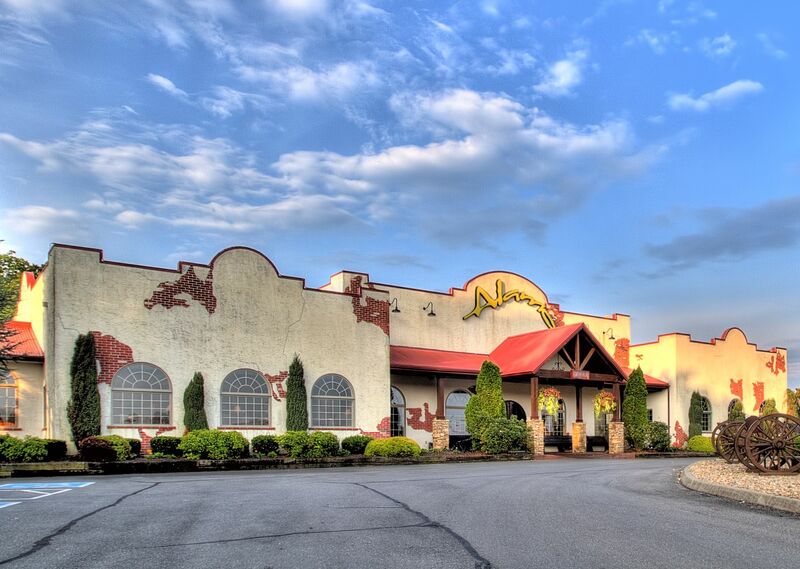 Whether you’re staying in or looking to sample eclectic cuisines off-site, you’re never far from the best places to eat in Pigeon Forge. The Bistro — Eat. Drink. Connect. Serving fresh, locally sourced ingredients in an inspired American menu, The Bistro offers a delicious start to your day in Pigeon Forge with a variety of healthy breakfast options, as well as a menu of gourmet classics for dinner. Enjoy specialty coffee beverages crafted with Starbucks brews for breakfast and a selection of signature cocktails, wine pairings, and beers in the evening. The newest restaurant and bar in Pigeon Forge, The Bistro is your destination to eat, drink, and connect in a casual, service-driven setting. Bennett's Pit Bar-B-Que serves meals that are moist, tender and packed full of flavor. Our pork ribs, chicken, pulled pork and beef briskets are basted in Bennett’s own special sauce. Then they’re placed over smoldering hickory wood & smoked for up to 14 hours! The heat & sauce penetrate deep into every layer of meat, turning it a perfect pinkish color while enriching every juicy mouthful with rich, smoky flavor. Alamo Steakhouse is known for hand cut, aged, & seasoned steaks cooked over an open oak fire. Enjoy chicken, chops, seafood, burgers, and more. Kids menu and dessert menus available. This is not your average pizza pie! At the heart of Big Daddy's is a 550 degree, wood-fired flame inside of a one-of-a-kind brick oven. Our pizza starts with handcrafted, homemade dough that is pulled by our own "pizzeoli". It is then topped with one of our homemade sauces and fresh ingredients. We're so committed to that freshness that there isn't a freezer on the premises. The end product pays homage to the pizza's classic Neapolitan roots with a deliciously, crispy crust. We feature all the goodies that the Johnson Family's Great-Grandmother (known as Mama to the family) made for them. At Mama's Farmhouse we like to do things differently than most all-you-can-eat restaurants. We serve our food family style, which means no buffet lines for you to stand in. We bring a portion of each of our items on the menu that day to your table for you to try. We have a full selection of hand-dipped premium ice cream, soft serve, sundaes, banana splits, milkshakes & the best funnel cakes in town! Enjoy fresh made subs, wings and cheese steak sandwiches at Gatlinburg's newest sub shoppe. Located on East Parkway, we're convenient to the City Hall & Fire Department, Gatlinburg Pittman High School and Rocky Top Sports Complex. Here in Gatlinburg, we do things a little differently. Our chicken and sides are served by the plate if you want to eat with us. Or we offer it by the bucket To Go if you want to take a picnic to the Smoky Mountains or feed that hungry group of athletes at Rocky Top Sports World, which is nearby. The top destination for seafood lovers, Harpoon Harry's Crab House, is one the newest restaurant in Pigeon Forge and is located directly across the street from our property.. Perfect for families, Harpoon Harry's Crab House features fresh seafood items such as Alaskan King Crab, Jumbo Fried Shrimp, Pan Seared Sea Scallops, and more. With daily live entertainment, you will see why their motto is "It's not just a restaurant, it's an adventure!" Call 865-428-2006 to learn more.